Let Burlington Limousine make the most important day of your life wonderful and stress free. 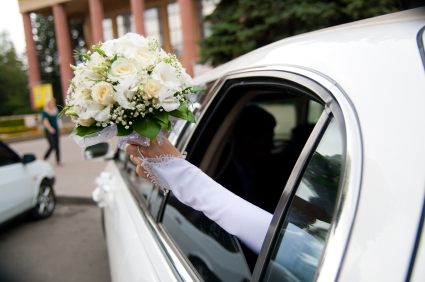 Our highly qualified wedding limousine chauffeurs will treat you like royalty. Nothing is too much trouble to ensure that your wedding plans are carried perfectly and hassle free. After all, it is your special day. You should be treated like the special person that you are. Whether it's as simple as getting to the church or the reception hall in style and on time, or a drive to the airport to send you off on your honeymoon...or just making sure that your limo is clean and nice and our driver is prompt... Our professional & courteous Burlington wedding limousine service will accommodate your every request. Please call for Special Discounted Rates for Stag and Stagette parties. Please Note: Prices quoted are for limousine services for weddings within the GTA. Please call or email for more information or a quote for pricing outside the GTA.